Welp, these are redone storyboards from the pathetic ones I started with when I first began this internship. Hopefully months from now I’ll look at these and call these pathetic — and many out there may do that now, even. But I am learning! I’m happy to see I’m getting better. Not everything is going out the other ear, ha ha. And unlike the version of OpenCanvas that I have now, Paint Tool Sai actually has a visible cursor for the tool you’re using. OpenCanvas has a nearly invisible little ‘target’ cursor that gets lost in all the art, especially if you’re working in black and white. BE EXCITED PEOPLE! 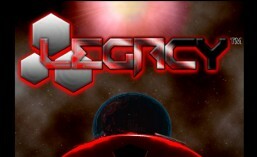 LEGACY IS COMING! Also, check out our Tumblr!!! Tagged #legacythevideogame, Intern: Genevieve, LEGACY, re-doing old work yaaay!, storyboards, We have a Tumblr too! Today I thought I’d share with you a tutorial I made that shows the basic use of Projection Master, a very nifty tool within ZBrush, to make normal maps. Here you go…enjoy! I hope you find this useful.